The cars and stars of Red Bull Global Rallycross will be in for a new and exciting challenge when they roll into Fort Lauderdale for the 2015 season opener on May 30-31. Competing on a street course for the first time since X Games Los Angeles in 2012, the stars of the sport will be faced with a brand new course layout positioned directly on the waterfront. The .420-mile, counterclockwise track layout features a 75-25 split between pavement and dirt, as well as six uniquely shaped corners. Drivers will line up two-by-two on the start grid as they ready themselves for the first race action of the year. After taking the green flag, competitors will dive into the wide but sharp first and second corners. From there, they’ll tackle the series’ signature 70-foot jump before bearing right for turn three and heading into the challenging fourth turn. After a lengthy straightaway, the field will attack the turn five hairpin, dive into a wide final straightaway, and attack the sixth and final turn. Conquering Fort Lauderdale and winning the opening event of the year will require a patient driver and an aggressive racing line. Scott Speed and Nelson Piquet Jr., two of last year’s championship contenders, have spent the offseason racing on street courses in Formula E, and will likely be among the favorites in the Supercar event. In GRC Lites, Austin Cindric and Geoff Sykes’ sports car racing experience may come in handy as they look to minimize time spent sideways and attack the corners directly with heavy braking. The 2015 Red Bull Global Rallycross season opens this weekend. 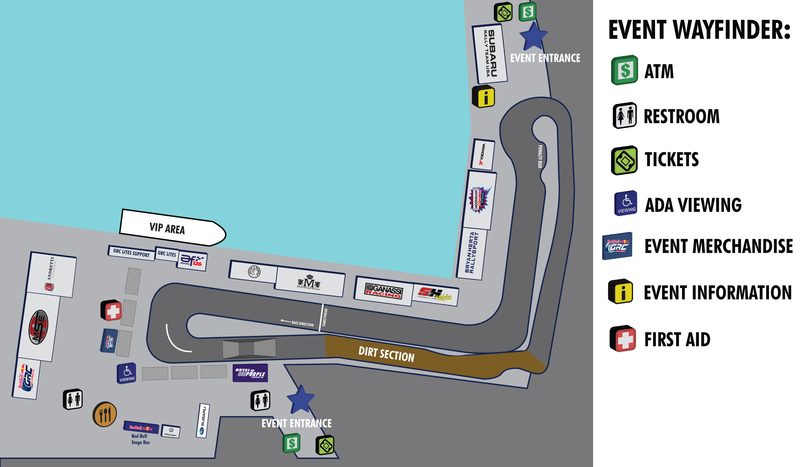 Tickets for the event can be purchased online at http://www.redbullglobalrallycross.com/tickets.